Desperately Wanting Wednesday is a weekly meme hosted by Parajunkee.com. For books that you are desperately wanting, either because they haven't been released or you haven't purchased them yet. hands on for one reason or another. "In the darkest corners of the night in Caldwell, New York, a conflict like no other rages. The city is home to a band of brothers born to defend their race: the warrior vampires of the Black Dagger Brotherhood. Now back in the Brotherhood - and unrecognisable as the vampire leader he once was - Tohrment is physically emaciated and heartbroken beyond despair. When he begins to see his beloved in his dreams - trapped in a cold, isolating netherworld - Tohr turns to a self-serving fallen angel in hopes of saving the one he has lost. When he's told he must learn to love another to free his former mate, Tohr knows they are all doomed . . . This is the 10th book in the series and I've already got it on pre-order. My best friend had actually recommended this series to me and told me to not bother by a book at a time to get the box set. Well at first I was like romance....really. So I didn't listen to her and just bought the first book and I came to realization of....why on Earth have I not been reading romance books all this time. I loved the series and bought up the books like a crazed maniac. Now I always by them as soon as they are released. I'm excited for this to be Tohr's book. 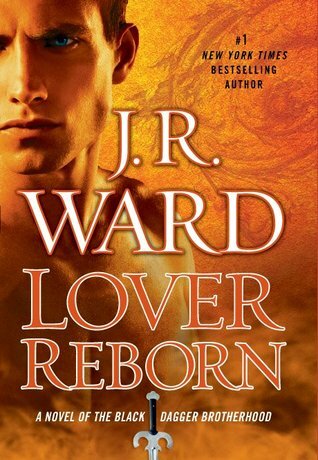 J.R. Ward has said that as long as people want to read about the brothers, she will keep writing the books. Great choice and one I am desperately waiting on as well. I love the cover of Cat O' Nine Tails - it reminds me of Christine in The Phantom of the Opera. Great pick! I have heard so many great things about this series and I hope I can find the time to read it soon. haven't heard of cat'o'nine tails before!! !